Why does your company need an External Audit? Today many companies think that auditing the accounts once a year is something they must do by law. But most business experts agree that the real value of the audit process is more valuable than that you think. Today many organisations operate under loss but assuming that they are in profit. This is mainly due to unavailability of correct financial information or improper maintenance of books of accounts. No doubt, Accounting is a vital success factor in a business. It is what shows the real face of a business. How do you know that your accounting process is going well? In fact, you need independent, unbiased and professionally qualified experts to verify and confirm your accounting process and the success of your organisation. They are the external auditors. External auditors are important to establishing your small business’ credibility and to ensuring compliance with relevant laws. 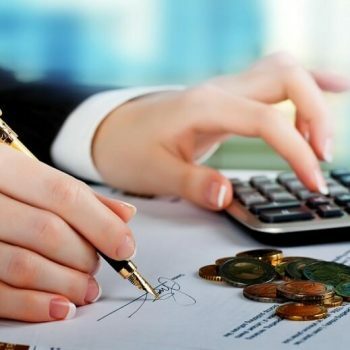 They ensure that the financial practices of a business are in line with generally accepted accounting principles and to spot real or potential problems. Auditors confirm that an organisation’s claims about its financial position, its profitability and the process behind these claims, are true and fair. What are the benefits of an external audit? Audit reports are required for many legal and general purposes by many government and non-governmental organisations in Abu Dhabi, Dubai and all over the UAE. The audit report is required by many Government Institutions and Oil and Gas companies for the registration purposes. The construction companies and consultants also need the services of professional auditors in Abu Dhabi and Dubai for their classification purposes. It is also required for annual trade license renewal purposes by many companies. If your company fails to perform auditing every year properly that may harm your company’s reputation and you may lose many business opportunities in Abu Dhabi and Dubai. Further, it should be noted that the UAE government is going to introduce VAT Tax from 2018. It is vital to have proper auditing and proper financial records to comply with the tax law properly. Your financial statements will be more credible if an external auditor evaluates them and agrees that they are accurate. Credibility is important to small businesses, especially during their first few years of business, when they are trying to build positive reputations. For example, the audit report is an important requirement for the banks and financial institutions when you go for finance and loans. Having properly audited accounts will help you to obtain your loans easily. Time to time you might receive financial statements from your accountant. How do you know that those numbers are accurate, reliable and unbiased? For that, definitely, you need the assistance of independent professionals. They will examine your financial records and ascertain the real face your business, that is, are you making a profit or not. While it may be unpleasant to even think that someone could be defrauding your company, it’s better to know for sure than continual wonder. It’s impossible to spot a fraudster just by looking, and they often turn out to be the person least likely to arouse suspicion. External auditors examine bookkeeping records without the filter of personal relationships clouding their judgment. For them, the financial statements will tell the unvarnished truth, and their impartial inspection could keep your business from taking a major loss. Many small businesses can’t afford to hire expert certified public accountants to handle their day-to-day and ongoing financial records. Using an independent external auditor from time to time provides you with the opportunity not only to verify your numbers but also to learn ways to improve your processes and procedures. An external auditor might notice areas in which you can improve your cash flow, reduce debt-service interest, depreciate assets, take more deductions or institute other capital management techniques that improve your bottom line. Who will be benefited from external auditing? An audit is always very useful for different types of people in an organisation. In many cases, owners and shareholders of a company will not be closely involved in its day to day running. So, again, an independent audit is very interesting to them, since it provides a trusted second opinion on the organisation’s financial statements and, in turn, gives some, insight as to how well it is being run. Also, company’s accountants and finance directors will also be benefited by an audit. These people are essentially in charge of the finances of the organisation; therefore they have to make sure that everything is going correctly under their responsibility. An opinion from independent professionally qualified experts is essential for them to rectify their mistakes. Many company accountants and finance directors also value working closely with auditors, believing they can help to solve complex accounting problems, offer world-class advice on issues ranging from governance to business processes and keep them up to date with the latest techniques, rules and regulations. Therefore, it is essential for every company to appoint an auditor to increase its profitability and to make sure that the company goes well. If you are considering hiring an external professional auditor to examine your books, Parker Randall UAE auditors are among the most well-respected and knowledgeable in the UAE. At Parker Randall UAE, we hire only professionally qualified auditors, they are Chartered Accountants, Chartered Certified Accountants, Certified Public Accountants, or their professional equivalents. We, Parker Randall UAE, are in the field of auditing in the UAE for almost 20 years and are experts various types of sectors. Our audit fees are reasonable and affordable by all types of companies. As a member of Parker Randall International (PRI), a UK-based international audit firm, we are provided diverse technical skills, advice and assistance from PRI. Also, periodic inspections are done by PRI to ensure that the quality of the audits done by Parker Randall UAE is meeting the requirements of PRI. How QuickBooks will help you to do business in the UAE – Dubai and Abu Dhabi? Do you like to start a business in Dubai? Why your business needs an accounting software?